Celtic defender Mikael Lustig has spoken about the injury he’s sustained on international duty, revealing he’s not just a doubt for Sweden’s upcoming match against Norway but also the match against Steven Gerrard’s Rangers on Sunday. 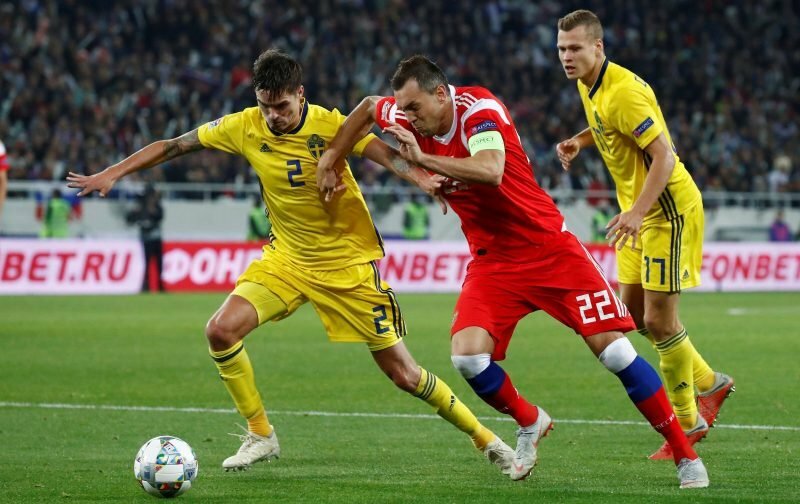 The Swede limped out of his country’s UEFA 2020 qualifier against Romania on Saturday evening, raising concerns he may be completely ruled out for the upcoming derby. While it appears that is not the case, the news isn’t particular heartening either, with the player revealing he is struggling to make it. At first, I thought it was an ordinary thigh knock and that I could run it off. But then I started to feel it and looked down to see that it was swollen. I tried to play on, but the longer the game went, the more difficult it became to run. It hurts and I don’t know how long it can last. It is borderline for Tuesday, but it is clear that we will do everything to make me fit. 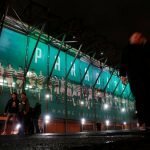 It’s a big game [vs Rangers] that I want to play in, but we will see. First of all, I have to get fit for Norway. That seems far away right now, but you never know. With Jeremy Toljan doing little to convince Celtic supporters he is the answer at right-back, many will be worried that Lustig is not available for the vital Scottish Premiership match. For all his faults he has excellent experience and mentality that usually ensures he has a cracking game against the Ibrox side. Hopefully he can rest well on his thigh problem and not only feature for his country but for the Hoops too this coming weekend.